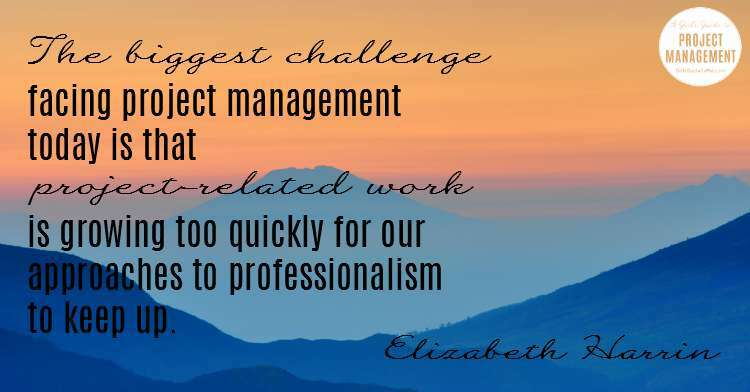 The biggest challenge facing project management today is that project-related work and jobs are growing too quickly for our approaches to professionalism to keep up. Let me explain what I mean. There are a lot of acronyms coming, so apologies in advance for that. The world of work is becoming more focused on projects. I don’t think it’s just project professionals who would say that – business leaders are also aware of the fact that projects are a core part of any company, and project management standards and approaches are being applied to more things. The role of the Project, Programme and Portfolio Office is growing. There are different types of roles available now to people who want to work in projects. You could be a PMO specialist, a risk professional or a project support officer. The management frameworks and organisation structures that support project-based work are in use in many companies. However, this growth means that project management has different interpretations for different people. Project management jobs are offered with salaries of £20k to upwards of £80k. That can’t possibly be the same job with the same responsibilities. The approach we have taken to professionalism and explaining what project management is really revolves around industry bodies. In the United States this is relatively clear, as PMI sets the standards for what project management means. I don’t say this because I’m a particular fan of the PMBOK® Guide or the PMP credential, but because in the US there isn’t as much competition between industry bodies (correct me if I’m wrong – let me know in the comments below). In the UK it is a different story. We have AXELOS, which produces and manages the PRINCE2 and MSP frameworks. These are the de facto requirements for project and programme managers over here. We also have the Association for Project Management which is affiliated to the IPMA. They have their own body of knowledge and credential scheme (which is also very good). Then we have a small but relatively active PMI Chapter, so there are people with PMP and other PMI credentials. For employers, it’s a mess. Do you want a PRINCE2 Practitioner or a PMP, or someone who has both? What does APMP mean and it is better or equivalent to a Master’s degree in Project Management? If I want to recruit a PMO Manager, what should I be looking for? There is no national standard to help employers make the right decisions for their companies. For individuals, it’s worse. I’m often contacted by people wanting to know which course they should do. Most employers advertise for people who are PRINCE2 certified, but that course won’t teach you to do proper scheduling and it certainly doesn’t reflect your experience in the field. So should you get PMP as well? What about the new Registered Project Professional designation from APM? 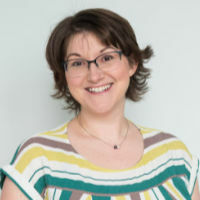 This is still relatively new in industry terms but the idea is that people who have RPP then adopt Chartered status and become Chartered Project Professionals when the APM is awarded its Royal Charter. That will apparently move those people into the same stratosphere as Chartered Accountants or Chartered Surveyors. So let’s say you want to go for that. Who will pay for it? Many employers will only pay membership fees to one professional body for you (or none at all). Do individuals have to pay for PMI membership and APM membership and ask their employers to send them on PRINCE2 courses every 5 years for recertification? Articles like this are supposed to end with the author putting forward their suggestions for how we should tackle the challenge. The problem is that I don’t have the answers. Professional bodies won’t suddenly stop producing certificate-based courses. It is how they make money and how they convince employers that they are relevant to today’s working environment, and in my experience the courses and credentials are very good. I don’t have an issue with the standard of project management education – I just worry that there is too much of it, which makes it hard for employers and individuals to know what the best option is for them. I can’t see that any of the professional bodies in the UK would give up marketing their services because someone else is doing a similar thing, and why would they? What I would like to see is more alignment and collaboration between them, so that it is easier to compare bodies of knowledge, standards, frameworks, certificates and credentials and whatever else is out there. More talk about how different post-nominals fill different requirements. We need project management as a profession to hang together, not become more fragmented. The project-based workplace is here to stay, and the discipline of project management needs to catch up pretty fast so that companies see the value and know where to turn for professional advice. This article is based on a podcast I did with Peter Taylor. You can listen to Peter’s podcasts here. My comments were part of his Best of British series. Although the issue of fragmentation is valid, I think the larger threat to PM clarity/legitimacy is the overwhelming number of people calling themselves “Project Managers” without the the experience or formal education that project sponsors expect/assume is in place. Lobbying for legislated minimum requirements that could consist of any one of a number of accreditations and include education and experience could be supplemented with greater public information campaigns. Both could/should be driven by the associations your mention in your article. Bruce, that’s already happening with APM’s bid for Chartered status. That would be a recognised minimum requirement. I don’t think the problem you describe is particular to project managers though. I mean, it isn’t just unscrupulous individuals calling themselves PMs with the hope of hoodwinking their sponsors. Job adverts often ask for ‘project managers’ and yet you read the job description and it’s more like an admin position, or a jack of all trades. Nomenclature is a big problem in project management, and has been for a long time. Thanks @Eizabeth its really a very informative and great article I got so much knowledge from here, and which you have discussed the problems and challenges to project managers are really true and its a fact of today’s situation. In the US, you are correct that the PMP certification is the standard. However, it is really only recognized in the IT industry and government projects, not so much elsewhere. Experience is a much larger factor. In the IT world, there are at least two Agile certifications that are gaining traction and “competing” against the PMI Agile certification. You can see the “having/being” split in the Agile world also. I am concerned that we are headed in the same direction, if Agile certifications continue to increase in employer requirements. I personally won’t list my Agile certification on my resume, since it is one of the “having” types. I will not advertise myself as a Agile professional until I run a good number of projects using that method. My company sent all the PM’s to get this particular Agile certification, but it was nothing more than a training class. Now, we are struggling, since none of can figure how to apply the training to the real world and the company refuses to hire a coach. Kathryn, that’s a really valid point, and a struggle for many project managers and their employers. It’s not enough to have a piece of paper. Experience makes a huge difference. The real world application of training is not something that employers pay enough attention to, in my view, which is ridiculous as it undermines the whole purpose of doing the training in the first place. If people return the workplace and can’t implement what they have learned, then the investment in training is wasted. Great article. I don’t think that there is a simple answer for this. In my view there are mainly two classes of accreditation/certification: Having versus Being. Some certifications require a person to pass an exam and demonstrate no previous experience (Having). Whilst other certifications mandate that the candidate pass an exam as well as have a specific amount of experience (Being). From a cursory look through job roles advertised on LinkedIn – the certification has become a hygiene factor and there is a lot of focus on specific experience in certain domains. So regardless of whether the candidate has the right certificate or not – I think that if they have the right experience, they are likely to still be in the running for the role (in my opinion). How I am hoping the certificating bodies will differentiate themselves in future is by how much they add, innovate, and encourage the growth of Project Management excellence (skills, techniques, guidelines for good practice). Simson, thanks for that well-informed and articulate response! The Having/Being split is a good way to look at it. I agree that a candidate with the right experience is still likely to be in the running for the role. Personally I’d rather recruit experience and attitude over a certificate but I know for many recruiters facing hundreds of CVs per job that having the ‘right’ qualification can be that hygiene factor that gets you through the door.